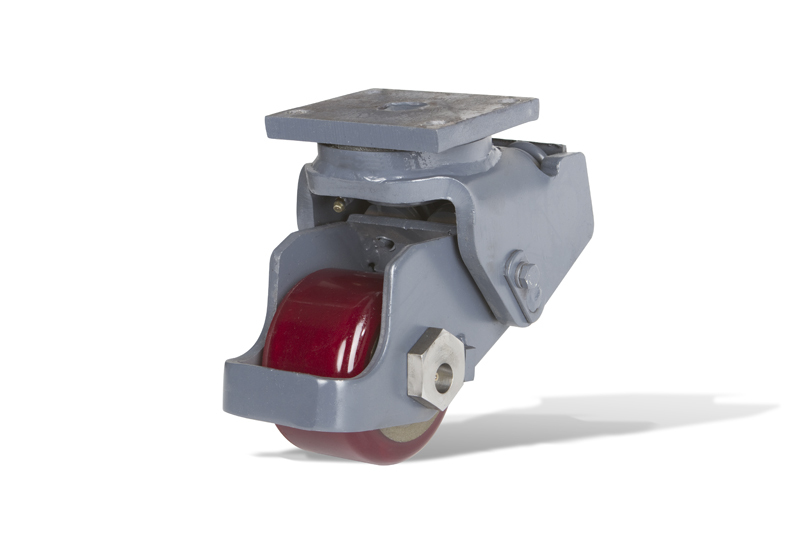 Ross Design™ has been manufacturing top of the line Kingpin casters for over 25 years. The Ross Design™ Kingpin caster outshines the competition beginning with heavy duty 1045CD mounting plates, offered in multiple configurations. The Kingpin swivel surfaces are machined after welding to create even bearing surface contact, decreasing wear and tear on the caster. 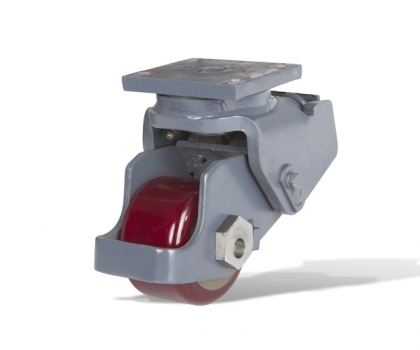 The Ross Design™ caster also features a one of a kind wheel frame which is formed as one piece. Unlike other manufacturers who rely on welds holding the legs onto the caster. Strategically placed reliefs at the grease zerk location aid the flow of grease into the bearings, increasing the lifetime of the product. The Ross Design™ Kingpin swivel module is secured with a high grade washer, 1137 custom slotted jam nut, and a 6150 solid drive pin. This ensures that the proper bearing preloads are maintained and that no loosening occurs during operation. Competitors casters are frequently secured with self locking nuts that loosen themselves during use, increasing field failures and safety concerns. 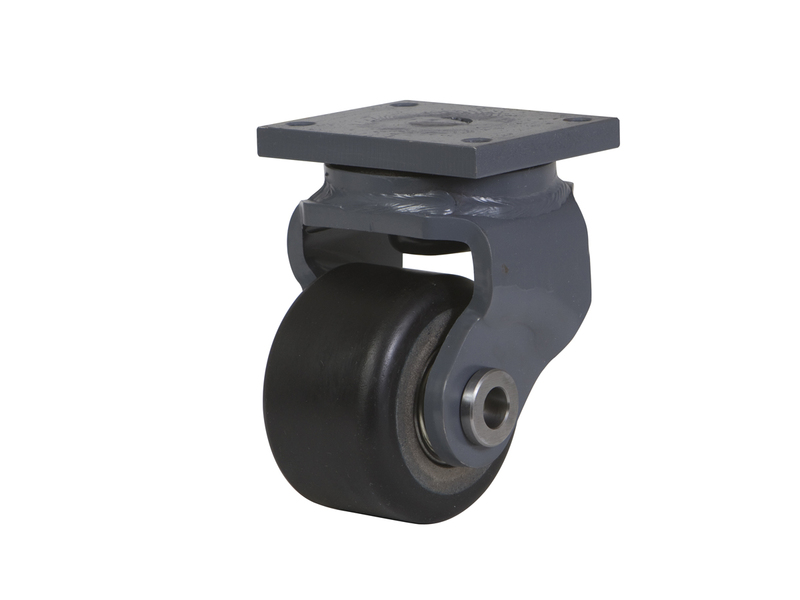 Our design offers an alternative to this common problem, giving us confidence in the safety and reliability of our Kingpin casters. 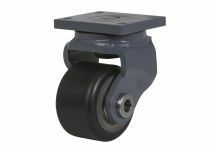 The Ross Design™ Kingpin casters offer the finest quality features of any on the market and are sure to not disappoint.